Bulldozer is an multipurpose premium Bootstrap template design by one_touch on themeforest. 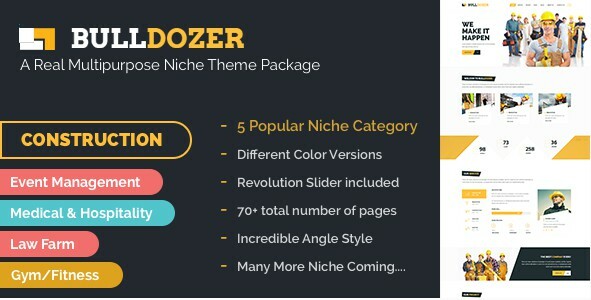 It is an real multipurpose niche theme package, come up with 5 initial version. In this initial version you will get 5 in 1 template package. 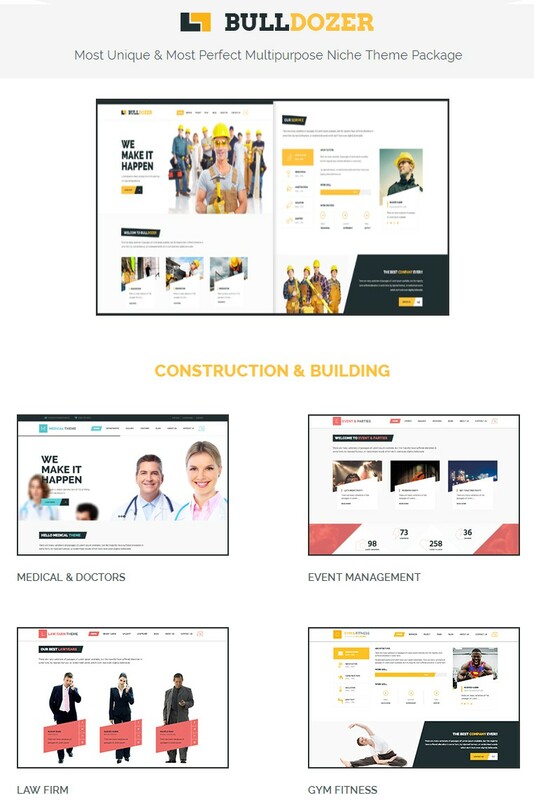 Those are, Construction, Event Management, Medical Law firm, Gym / Fitness website and many more attractive niche templates adding soon. Item Reviewed: Mega Package Multipurpose Niche Bootstrap Template 9 out of 10 based on 10 ratings. 9 user reviews.